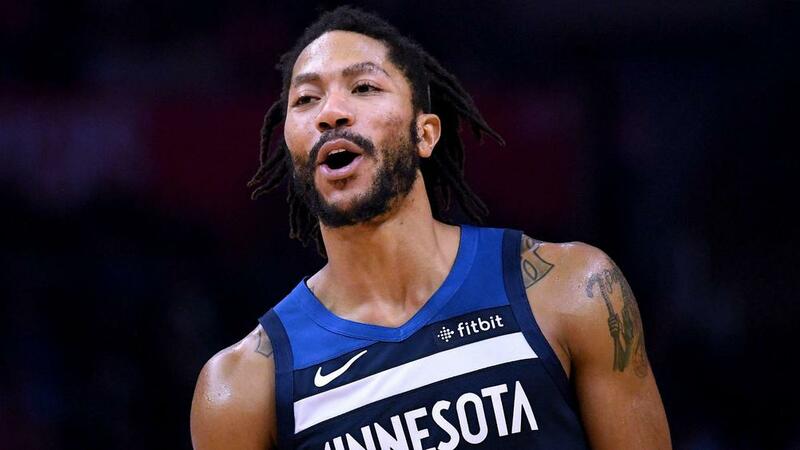 Former NBA MVP Derrick Rose scored a game-high 31 points and sunk the winning shot to secure victory on Sunday. The Minnesota Timberwolves pulled off a thrilling 116-114 win against the Phoenix Suns thanks to Derrick Rose. Karl-Anthony Towns and Rose helped the Timberwolves snap a two-game losing streak in the NBA on Sunday. Rose scored a game-high 31 points and sunk the winning shot to secure the victory. The former MVP tallied 29 of his points in the second half. Towns did not have the most efficient game, but totalled 30 points, 12 rebounds and four steals. TJ Warren scored 21 points to lead Phoenix, who have now lost four straight games. The Timberwolves improved to 22-24 for the season, while the Suns dropped to 11-37. Tobias Harris recorded 27 points, nine rebounds and nine assists to help the Los Angeles Clippers top the San Antonio Spurs 103-95. Marvin Williams scored nine points on three-of-13 shooting in the Charlotte Hornets' 120-95 loss to the Indiana Pacers. DeMar DeRozan scored eight points on four-of-16 shooting. Rose walked the defense down and nailed the game-winner to top off his impressive second-half performance. James Harden has been historically good offensively for the Houston Rockets as of late. While the Philadelphia 76ers are 19-5 at home, they have lost two of their last three games in the Wells Fargo Center. The 76ers will need to utilise their length and athleticism to make things tough for the Rockets star.